Modern university disciplines like anthropology, psychology, sociology, evolutionary biology, and evolutionary psychology adequately explain the rise and success of religion and God belief. In prehistoric times, simple ignorance of natural causes led people to suppose there were super-natural causes for things. And when the natural causes were eventually discovered by some new science, some part of the super-natural God dissolved. It was thought for thousands of years that a God dragged the sun across the day-time sky in a chariot. Then came astronomy and cosmology and astrophysics to explain the real reason the sun appears to move across the sky. It was thought for thousands of years that God or demons cause diseases. Then medical science and biology uncovered germs. It was thought that God painted all the rainbows. Then came meteorology and optics with the true explanation. And on and on. Psychology has credible ideas about the rise of the ‘Father-Figure’ God. I already dealt with some of this under point 14, in Part 4. The idea that “In prehistoric times, simple ignorance of natural causes led people to suppose there were super-natural causes for things” is simply a matter of opinion. It begs the question. Were these university-trained Smart Folks actually there in prehistoric times? Do they actually know that this is where the earliest concepts of God came from? No. They don’t know this at all. It’s simply an explanation they’ve come up with that sounds plausible to people who don’t believe in God and are trying to figure out where the idea of God came from. It is based on an already existing assumption that there is no God and no spiritual realm. This is no different from religious folks who have already decided what they believe going to their holy books to “prove” that their beliefs are right. The human mind can be very ingenious in coming up with “explanations” for what it already believes. And this applies to atheists just as much as it applies to religious folks. In reality, all of this is pure speculation. It is just as plausible to believe that humans, who from a biological perspective are merely large-brained animals (relative to body size), would never have come up with the idea of God if God didn’t actually exist. No other animal shows any indication of any such supernatural belief. And according to the very same skeptics and atheists who have come up with this theory of the origin of the idea of God, there is absolutely nothing anywhere in nature that gives any indication whatsoever that there are any such things as God and spirit. Why would early humans come up with an idea for which there is no physical evidence whatsoever? Once again, the idea that early humans came up with the idea of God to explain things they didn’t understand is pure speculation. They could just as well have shrugged their shoulders and said, “That’s weird!” and kept right on walking. I find it much more plausible that the reason early humans gained an idea of God is that there actually is a God, and there actually is a spiritual realm of existence, and those early humans, once their brains had developed sufficiently to be able to handle less concrete and more abstract thoughts and realities, became aware of God and the spiritual realm. That awareness has persisted in human culture right up to the present day, despite the long history of atheism and despite the rise of modern science. Keep in mind that there are also many Smart Folks, including scientists in disciplines such as anthropology, psychology, sociology, evolutionary biology, and evolutionary psychology, who do believe in God. Yes, science did progressively explain natural phenomena that had formerly been attributed to God. That’s what science is for: exploring and explaining natural phenomena in the material universe. Religion, meanwhile is for exploring and explaining phenomena in the spiritual realms, and exploring the nature of God. Science has done religion—real religion—a huge favor by progressively pushing religion out of the business of explaining physical and material phenomena. This allows religion to get back to doing what it was meant to do in the first place: bringing a fuller awareness and knowledge of God and spirit to humanity. Along these lines, Stephen Jay Gould’s Non-overlapping magisteria (NOMA) concept is very useful. In a nutshell, Gould’s NOMA concept states that science and religion each have their own proper areas of inquiry, or “magisteria,” and that as long as they stick to their own areas, they can get along just fine. It’s when churches try to dictate natural science, and scientists try to make pronouncements about God and spirit, that things get messy. Clergy simply are not qualified as clergy to make statements and draw conclusions about the nature of the material universe. That’s not their area of expertise. And scientists simply aren’t qualified as scientists to make statements and draw conclusions about God and religion. That’s not their area of expertise. 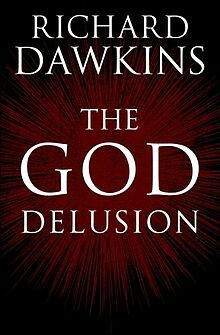 That’s why when good scientists such as Richard Dawkins (1949–2011) step out of their area of expertise and write books about God and religion, those books are full of gaping holes from the perspective of Moderately Smart Folks who have spent their careers studying God, religion, and spirituality from a position of faith. Hundreds of millions of people on planet earth lack God belief. That is a not a trivial number of people. Tens of millions of Americans doubt God. And that’s not a trivial number either. The quality of many of the minds doubting God must be noticed, because many are highly educated and some are even geniuses. For a thousand years ALL the intellectuals and geniuses (100%) in the West (probably) believed in God. Nowadays, a majority of our intellectuals and geniuses (60%? 70%?) do not believe in God (most Nobel Laureates, most top scientists.) Though their intelligence is not infallible and they could be wrong, these people are not evil and are not disbelieving as an excuse to ‘disobey God’ and act immorally. They have real problems believing in the idea of God, as evinced in this very list of 21 items. As Emerson said of them, their skepticisms are not gratuitous or lawless but suggest real limitations on affirmative statements about God. This really just amounts to an appeal to authority, with a dash of snob appeal thrown in. If Smart Folks don’t believe in God, it must be wrong—especially if more and more Smart Folks don’t believe in God. But I’ve already dealt with that in the opening sections in Part 1 of this article. Truth is not determined by what we believe, or even by what Smart Folks believe. It is no more valid for atheists and non-religious people to take comfort in the “truth” of their beliefs because of their currently large and growing numbers than it is for Christians, Muslims, or Hindus to take comfort in the “truth” of their beliefs because they each have over a billion adherents worldwide. That’s simply not what determines the truth. However, I do have a lot of sympathy for Smart Folks who don’t believe in God. Unfortunately, a lot of Very Stupid Stuff has been said about God for many centuries by some Very Big Churches. When I read atheist literature, I continually smack my forehead, not because the authors are making good arguments against the existence of God, but because so many of the “god concepts” they’re arguing against are so widely held among traditional Christians—and are so terribly wrong. If the God they’re arguing against were what God is really like, I wouldn’t believe in God either. It is that God that is evil and immoral, not the atheists who reject that God. I have come to believe that atheism is a tool in the hands of God to destroy the faulty and outmoded old religious paradigm along with its faulty and outmoded concept of God so that a new and better understanding of God can take its place. Cro-Magnon peoples thought they were at the height of the human ascendancy (and they were!) They had their well-appointed caves, their tattered clothing, their grunts, their flailing gestures, their ability to count to five. But 30,000 years have passed since Cro-Magnons and homo sapiens have become quite a bit more sophisticated since then. What will another 30,000 years bring to the human race? And another 30,000 years after that? And another 30,000 after that? You and I have not arrived late to the story of humanity: we have arrived when humanity is still in its infancy. We are fresh with morning dew. And we have much evolving to do yet. None of today’s religions will survive. Religion itself won’t survive either. God belief will be seen as a human-contrived AID that humans outgrew (as a child outgrows a pacifier). God belief is not innate to human beings, nor is it necessary for human well-being, and the proof of this is the millions and millions of people who do not believe in God and feel nothing is lacking in their lives without God. (The most secular nations have the most civil societies, as Scandinavian countries.) In 30,000 years, no one will believe in God, just as no one now believes in the Gods of ancient Greece and Rome. This also strikes me as very funny. Five or six centuries ago European peoples thought they were at the height of human scientific ascendancy. (And maybe they were?) They had their Ptolemaic model of the universe, their flat earth, their four (or five) basic elements of nature, their spontaneous generation—and they were quite comfortable in their small, womb-like cosmos. Buuut . . . human culture has become quite a bit more sophisticated since then. What will another 30,000 years bring to the human race? And another 30,000 years after that? Clearly, in that time the ridiculous, superstitious science that those people way back in the dark ages were prattling on about is merely a phase in human evolution—a mere pacifier that kept us comfortable in our sense of our own intelligence and mastery over nature until we no longer needed it. 30,000 years from now, no one will believe in science just as no one believes in those ridiculous old notions about a flat earth ruling the universe from a stationary position at its center. By that time, science will be of no further use to a humanity that has grown far beyond this infantile state of human evolution. Once again, this whole rather poetic statement about God belief as an early phase of human evolution is pure speculation. For those who don’t believe in God, it feels good to say that God is an outmoded idea of the past, and that in the distant future no one will believe in God. But all of these very same arguments could also be used to argue that science and technology are merely an early stage in our still infantile existence as human beings, which we will outgrow in the course of time when we no longer need them. In fact, this is a fairly common theme in science fiction: highly evolved species (sometimes the future descendants of humanity) living simple, idyllic lives in which they produce what they need and protect themselves from danger through pure thought and pure energy, with no need whatsoever for the science and technology of which we humans in our era are so proud. I simply disagree with Dr. McKenna about the eventual demise of religion and belief in God. Instead, I believe what will happen to religion and our concept of God is the very same thing that has happened to science as it has developed over the years. Old, faulty, and insufficiently accurate and helpful concepts of God will be left behind as humans grow in mind and heart, and are able to see and comprehend greater, truer, and more accurate and helpful concepts of God. And yes, this may mean that many of the religions and religious institutions that exist today will go out of existence—if they are unable to change and adapt to humanity’s changing and growing concepts of God and spirit. The changing theories of human science haven’t changed the actual physical realities of the universe at all. The universe, our earth, and its biosphere have continued to operate in their same incredibly intricate, complex, and elegant way whether we understood them rightly or wrongly. Science is a process of increasing discovery as we humans grow in knowledge and understanding. Likewise, the changing human concepts of God and spirit haven’t changed the actual realities of God and spirit at all. God has continued to be the same being all along, far above our cloudy and evolving human conceptions of God. And the spiritual realms have continued to operate by their own incredibly intricate, complex, and elegant spiritual laws whether we understood those laws rightly, wrongly, or not at all. It is quite true that a few thousand years ago nearly everyone on earth was polytheistic. But in the midst of that polytheistic world, a radical new idea began to develop: monotheism. And that idea was an improvement on the old polytheism. It was a major example of humans moving away from earlier, cruder ideas about God toward newer and better ideas about God. Isn’t that what human evolution, development, and advancement are all about? Today, human science is making huge, unprecedented strides forward in a very short time. Ever since the Age of Enlightenment, the unshackled human mind has been pressing forward, learning, and growing at a pace that it never has before in all of human history. I believe that the same thing is now happening in the spiritual evolution of humanity. We have gotten to the point where the old, traditional Christianity with its rather backward, monarchy-based ideas about God are no longer sufficient for the present-day human mind and heart. Just as science regularly throws out old theories to make way for newer and better ones, we are now in the process of throwing out many old religious ideas that we have outgrown in order to make way for newer and better ones. And the atheist movement itself is one instrument hastening that process. In 30,000 years, I believe humanity will still believe in God and spirit. But their belief will not be in the old, arbitrary concepts of God based on the vanishing institution of human monarchy. God will not be seen as an absolute ruler sitting on an imposing throne up in heaven, rewarding those who toady up to Him and zapping His enemies with lightning bolts. Such ideas of God, which worked perfectly well through many centuries of monarchical cultures in the earlier history of human civilization, are no longer adequate for present and future human cultures that have grown beyond these arbitrary and oppressive human institutions. The concept of God that will replace that old and rather limited concept of God will be vast and cosmic in its reality and presence. It will be a concept of God big and broad enough to make sense to us and give us meaning in the vastness and complexity of a physical universe that has expanded many orders of magnitude from our small and limited conception of the universe in previous ages. The old God-as-Big-King-in-the-Sky concept will fade away as humanity continues to move forward in its scientific, cultural, and spiritual evolution. And any religions that continue to cling to that God concept will fade away along with it. But that’s never what God was really like anyway. Just as science has developed as we have gained a more and more realistic and accurate picture of the nature of the physical universe, so religion will develop as we gain a more and more realistic and accurate picture of the nature of God and spirit. Now that we’re getting our first glimpses of just how vast and incredible is the physical universe in which we live, our minds are finally beginning to open and expand enough to gain a real sense of the far vaster love, wisdom, and power of God, who is behind everything we are discovering with our increasingly powerful telescopes and microscopes. Just as humanity is still in its evolutionary and scientific infancy, so humanity is still in its spiritual infancy. The new discoveries and experiences of God and spirit that await us will go far beyond anything humanity has ever been able to conceive of or experience before. And I believe that as the decades and centuries pass, the children, grandchildren, and great-grandchildren of today’s atheists, agnostics, and skeptics will return with joy to a knowledge and experience of God and spirit that lie at the core of our being, just waiting to be discovered anew. It always fascinates me when people say they have faith, yet try to use the Bible to prove scientific facts to prove what they believe is true! God is much more that anything we can imagine or perceive. Yes, I find that strange as well. But different people’s minds work in different ways, I guess. I wish there was no God. Wouldn’t it be great if there was just us and the universe, and dying simply meant disintegrating back into the cosmos? Just brief consciousness and then the sweet embrace of nothingness. Nothingness sounds awfully boring, don’t you think?